The great songsmith Neil Diamond has long been to the forefront of prevailing trends. Whether it is the groundbreaking world music strain of Tap Root Manuscript which he recorded 45 years ago, or in his classic urban pop hits like “Holly Holy” and “Sweet Caroline”, or in his ability to render a show tune in a modern idiom, Diamond is a colossus. Truly iconic pretty much from the off he was too because while we now know he’s sold over 125 million albums worldwide, Diamond spent his formative years penning ditties at the Brill Building in New York City for Jay and the Americans, the massively huge Monkees and other teenage heartthrobs. In fact, it isn’t quite true to say he wrote to order for others because he always had his own career in mind but in latter years Elvis Presley, Deep Purple, Lulu, Cliff Richard and Urge Overkill would all benefit from the crafted brilliance of his first flush of youth. Having created a body of sit single work to pass muster with just about any other artist on the planet Diamond’s own albums, in particular his conceptual pieces in the 1970s, have all stood the test of time. Prolific but with an inbuilt quality control, Neil rarely wastes a phrase or inflates a song beyond its natural time span. A master of economy but with a romantic surge in his voice he is also a beloved entertainer and live performer who can hold an audience in the palm of his hand whether he’s reaching out to an in the round arena crowd or offering his touch and feel to a theatre or, should you be so lucky, a club event. A survivor and a pioneer, Diamond is the embodiment of a special brand of American popular music in that he is a populist with a classic aesthetic. Often honoured, he has sung for presidents and for baseball crowds and built a fanatical base of followers across the globe. Neither a guilty pleasure nor a best kept cult secret – impossible considering the time his discs have spent on charts – rather he is an American treasure. Born Neil Leslie Diamond in Brooklyn, New York in 1941, Diamond might have pursued a career in academia or biology except that his songs started to filter into the network of independent labels and were deemed good enough to set him on a musical path in his late teens. His first albums were recorded for the Bang label before he moved into the plusher confines of the Uni stable, an imprint he revolutionised single-handedly. We’re pleased to say that we have that area covered on our compilations – Up on the Roof: Songs from the Brill Building, The Bang Years 1966-1968 (The 23 Original Mono Recordings) and Play Me: The Complete Uni Studio Recordings…Plus! These give, one an exact flavour of the quality and quantity of his earliest songs and also showcase his unflinching way with a well-chosen cover. Brother Love’s Travelling Salvation Show and Touching You, Touching Me would both go gold in 1969 when the hit “Sweet Caroline” swept over airwaves and brought millions of listeners to his side. But the “New York Boy” of autobiography wasn’t content to bask in reflected glory and Tap Root Manuscript bewildered the unwary with its fantastic use of African instrumentation and peachy pop writing in the shape of “Cracklin’ Rosie”. To that extent Neil beat even Paul Simon to the line for audacity. The song “He Ain’t Heavy, He’s My Brother”, though not by him became a signature tune that was covered by the Hollies. The album itself would go Platinum and so would the following year’s Stones disc with producer Tom Catalano bringing amazing performances of “I Am… I Said” out of his charge while Diamond also applied himself to choice covers of Joni Mitchell, Randy Newman, Tom Paxton, Roger Miller, Jacques Brel and Leonard Cohen. 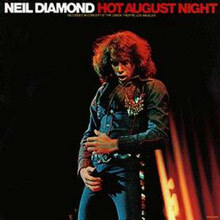 A generous artist then as now Neil’s self-penned Moods (1972) and the live Hot August Night are significant pointers to his future direction that are considered masterpieces in the music business of r their arrangements and all round expertise in the rhythm and strings department. The latter was recorded at the Greek Theatre in Los Angeles and is specially recommended in its 40th Anniversary Deluxe edition where the original double album is considerably boosted. Since this contains such classics as “Girl, You’ll Be A Woman Soon” (resurrected by Urge Overkill for one of Pulp Fiction’s most shocking scenes) and all his mega hits to that date we’d say this is one of the finest live documents of the time and should grace any discerning collection. Same goes for Jonathan Livingston Seagull, his Grammy Award winning soundtrack to the film of the same name. As an example of Neil’s popularity this was a double Platinum smash despite the absence of any hit single and actually grossed more than the movie did! Serenade and Beautiful Noise managed to filter Diamond through the easy listening and contemporary gauze without compromising him in either scope. He was simply beyond hip and performed now with input from the likes of Dr. John, Robbie Robertson (who produced Beautiful Noise), Garth Hudson and the cream of LA session land. He would also perform the track “Dry Your Eyes” with The Band at their famous farewell shows and this rendition appears in Martin Scorsese’s documentary of that event, The Last Waltz, generally considered to be one of the best music films of all. 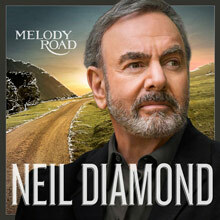 Soulful, adult yet approachable, Neil Diamond’s next move was into American homes via TV specials. I’m Glad You’re Here With Me Tonight (1970) finds him teamed with the great producer Bob Gaudio, mixing show tunes with classics like Brian Wilson’s “God Only Knows” and Joni Mitchell’s “Free Man in Paris” while maintaining the highest standards in sound and technology available at that juncture. You Don’t Bring Me Flowers benefits from the title cut being a duet with Barbara Streisand, the more atypical “Forever in Blue Jeans” and Gaudio’s gentle guiding hand. September Morn is a kind of return to roots outing for Neil but he switches tack entirely when he releases The Jazz Singer, a huge dramatic work that remains his biggest selling disc at over 5 million copies sold and also a well played item thanks to the inclusion of smash hits like “America”, “Love on the Rocks” and “Hello Again”. Without indicating a creative hiatus Neil’s next batch of albums fall into the category of being underrated at the time but re-evaluated favourably today. On The Way to the Sky, Primitive and Headed for the Future did slip through the net, that can’t be denied but his collaborations on these albums with Burt Bacharach, Carole Bayer Sager, Stevie Wonder and David Foster ensure high-class entertainment. That feeling persist with Hot August Night 11/NYC Live from Madison Square Garden where Diamond nails his roles as all-round show business guy, raconteur and creator of pops omnipotence. The Best Years of Our Lives and Lovescape are right down the middle of the road, a pretty good place to be if you’re in Diamond soled shoes and bear in mind he is now on a run of 18 straight Platinum, Gold and Silver awards – a phenomenal record. The Christmas Album and the second volume by the same name will reach out to even more listeners eager to hear Neil tackle John and Yoko, Cat Stevens, Mel Torme and Irving Berlin – that’s about everybody right? Just to remind everyone of where he’d come in Up on the Roof: Songs from the Brill Building revisits his love affair with the set-up that nurtured him and features a lovely duet with Dolly Parton on “You’ve Lost That Lovin’ Feeling”, “River Deep”, “Do Wah Diddy Diddy” and “Sweets for My Sweet” amongst other perennial goodies. Live in America (1994) is an all-encompassing career overview capturing the man on the boards, his other natural milieu, while Tennessee Moon is an ambitious country album that places Neil alongside Waylon Jennings, Chet Atkins and Maverick Raul Malo for starters. We’re currently loving The Movie Album: As Time Goes By, a clever interpretation of the oldies but goodies syndrome that concentrates on well-loved film classics and gives them a Diamond coating. Here you’ll find everything from Beatles and Sinatra to Fred Astaire and Hoagy Carmichael. A wondrous thing in all truth and one of Neil’s very best projects. The 5-CD Stages: Performances 1970-2002 is an exhaustive account of Neil’s’; magnificent live shows across four decades in a fine box with an extra DVD and decent liner notes in the booklet. Even so it’s the next album, 12 Songs that will perk and pique interest since we find Neil being produced by Rick Rubin, lover of the esoteric cause. This disc will catapult Neil back into hipper circles, thanks to the undoubted Rubin effect, and become an album that would be talked about and also provide him with a new media interest. Rightly so since it features members of Tom Petty’s Heartbreakers, Brian Wilson and Billy Preston’s last known recording. Rubin repeats the trick of giving an artist a shot in the arm by devoting the same care and attention on Neil he’d given to the late Johnny Cash and Home Before Dark (2008) topped the US charts making Diamond the oldest artist to attain that slot until Bob Dylan overtook him. Check this out on the Deluxe version where there’s a DVD and a bonus take on Dylan’s “Make You Feel My Love” as well as interpretations of Harry Nilsson’s “Without Her.” This time sales were grand again but it was in the UK that we lapped it up the most sending the disc 2x Platinum. Then, bringing us bang up to date, we have Dreams from 2012, a sumptuous set of Diamond’s favourites and boy, can he spot a great song? His souvenirs include Leslie Duncan’s “Love Song”, and Bill Withers’ “Ain’t No Sunshine”, Nilsson’s “Don’t Forgot ±Me” and The Eagles’ “Desperado”. This man has got class! As always with our key artists, there are various recommended collections and anthologies. 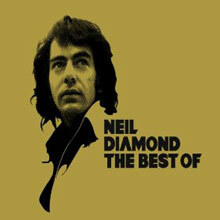 For an overview, do try his All-Time Greatest Hits or The Best of Neil Diamond, but there are plenty of others to choose from, plus there's all his wonderful original albums too. We’re reeling at the man’s marvellous output – didn’t even realise he’d accomplished so much. And you know what? He’s still going strong and crackling the airwaves. Good work fella. Universal's budget-priced The Best of Neil Diamond collection offers up some real gems in "I Am...I Said," "Cracklin' Rosie," "Sweet Caroline," and "Two-Bit Manchild," but there are so many essential Diamond hits missing from the set that it's hard to recommend over the meatier anthologies that are available. Listeners looking for something a little more comprehensive would be better off picking up MCA's Neil Diamond Collection or Geffen's excellent two-disc Gold set. 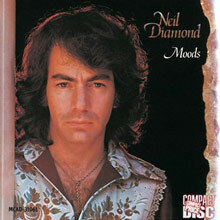 Moods finds Neil Diamond attempting to craft a more ambitious and substantial album than his usual pop record through heavy orchestration, but the results only work when he sticks to catchy pop-rock, as on "Song Sung Blue," "High Rolling Man," and "Play Me." 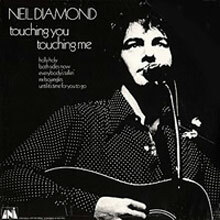 The follow-up to Touching You, Touching Me was an ambitious set of songs, all originals except for a Top 20 cover of "He Ain't Heavy...He's My Brother," including the side-long suite "The African Trilogy" (which featured the hit "Soolaimon"), the number one hit "Cracklin' Rosie," and "Done Too Soon." Going gold within two months, this album confirmed Diamond's breakthrough as a recording star. 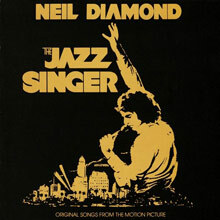 Neil Diamond's 1980 screen turn as a charismatic singer torn between Jewish tradition and pop music stardom spawned this phenomenally successful soundtrack album -- six million copies and counting. Diamond's 21st century resurgence as a walking item of kitsch has sparked renewed interest in the bombastic melting-pot jam "America," as well as his signature late-career ballad "Hello Again." In addition, the lite FM favorite "Love on the Rocks" is classic, raw-throated Neil. But beyond these notables, The Jazz Singer is an album of passable pop songs that stand on the edge of disco and in the grip of melodrama. The hyper "You Baby" is dressed up with an audio clip marking the film's embarrassing black face sequence, while the album's midsection sags with songs that shine like Sunset Strip billboards, yet lack any real substance. Swelling strings and lovely lyrics abound, but it all seems directionless, as if Diamond's just going through the motions. Similarly, Jewish traditionals like "Kol Nidre/My Name is Yussel" are important as thematic elements. But removed from the film and in the context of open-collared, glitzy numbers like "Hey Louise," their reverence is off-putting. As it's aged, The Jazz Singer has come to mark the moment when Diamond fully embraced his soft rock audience and completely turned his back on the ambition and spine-tingling vocal presence of his early career. That decision certainly proved to be an economic winner, but it ignored the fact that his most resonant performances really tear into a song with true mirth. The Jazz Singer's big hits have this quality -- a fact not lost on a new generation of listeners who revel in Diamond's powerful voice and showmanship. But the album's bulk is as wooden as Neil's acting. Diamond's first regular album release to sell in substantial numbers, Touching You, Touching Me contains the gold Top Ten single "Holly Holy," and a Diamond composition, but is mostly notable for its covers of standards by other songwriters: "Everybody's Talkin'," "Mr. Bojangles," "Both Sides Now," and the chart entry "Until It's Time for You to Go." These helped signal that Diamond was thinking of himself less as a Brill Building hack than as a peer of Fred Neil, Jerry Jeff Walker, Joni Mitchell, and Buffy Sainte-Marie. 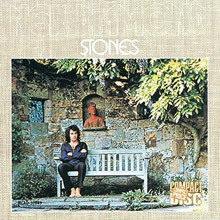 Driven by the hit singles "I Am...I Said" and "Crunchy Granola Suite," Stones is a stronger album than most of Neil Diamond's late-'60s records. Instead of padding the album with mediocre originals, Diamond picked several fine covers to fill out the remainder of the album, including Roger Miller's "Husbands and Wives," Joni Mitchell's "Chelsea Morning," Leonard Cohen's "Suzanne," Randy Newman's "I Think It's Gonna Rain," Jacques Brel's "If You Go Away," and Tom Paxton's "The Last Thing on My Mind." There are still a few weak patches on Stones, but the record remains an engaging collection of mainstream pop. Leaving behind Columbia Records along with his latter-day collaborator producer Rick Rubin, Neil Diamond sets up shop at Capitol -- which now belongs to Universal Records, who owns his classic recordings for Uni and MCA -- and teams with producer Don Was for 2014's Melody Road. Diamond may have left his label of 40 years, but in an odd way, Melody Road is a return home after his stark wanderings of the 2000s. Rubin encouraged Diamond to be spare, sometimes recording him with little more than an acoustic guitar, but Was -- who is assisted by Jacknife Lee -- coaxes the singer/songwriter to bring back the schmaltz, an essential element of Neil's glory days that was largely ignored on the Rubin records. Was and Lee retain a hint of that new millennial intimacy -- it's never once as overblown as his '70s records -- but the songs themselves alternate between stately ballads, effervescent bubblegum, and self-important pomp. As on his best '70s records, which Melody Road often resembles in both construction and consistency, Diamond is best when he keeps his ambitions relatively simple. There's majesty on the title track and haunting splendor on "Alone at the Ball," and they find their counterparts in the joyous "Something Blue" and "Marry Me Now," along with the spirited ramble of "First Time." Each of these songs evoke memories of Diamond's peak -- a little bit of "Solitary Man," a little bit of "I Am…I Said," a little bit of "Cherry Cherry" -- while the tedious socially aware slog of "Seongah and Jimmy" and endless ballad "(OOO) Do I Wanna Be Yours" bring back the Diamond that's often forgotten, the Diamond whose LPs often got bogged down in middlebrow aspirations. As much as these weigh down Melody Road, it's also true that there's never been a Neil Diamond record where he doesn't stray into this murky territory. What makes a difference here is the general lightness of his new songs and Was and Lee's sympathetic production; the two play off each other perfectly, turning this into the first latter-day Diamond record to feel quintessentially Neil Diamond. 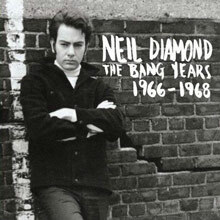 Neil Diamond transitioned from professional songwriter to performer when he signed with Bang Records in 1966. There, he cut two albums -- his 1966 debut The Feel of Neil Diamond and its 1967 sequel Just for You -- that contained his greatest songs: “Solitary Man,” “Cherry, Cherry,” “Girl, You’ll Be a Woman Soon,” “Kentucky Woman,” “Thank the Lord for the Night Time,” “I’m a Believer,” “Red, Red Wine,” “The Boat That I Row,” “You Got to Me,” and “Shilo.” All these, along with the rest of the two Bang albums all presented out of LP order, are on Columbia/Legacy’s 2011 The Bang Years: 1966-1968, by far the best overview ever assembled of this crucial era for Diamond. It’s not just that these are Diamond’s best songs but these are his best records: crisp, lively, colorful pop tunes balanced by luxurious moody brooding ballads. Once he turned into a superstar Diamond tended to rely on his innate showmanship, but here at the beginning of his career he sounded hungry and knew how to have fun, giving these records a snap that still stings decades later. And Diamond knows just how good these recordings are, as indicated by the terrific autobiographical liner notes he’s penned for this collection, notes that give this music context, but they’re not necessary to appreciate The Bang Years: this is pop music that’s so pure it needs no explanation. 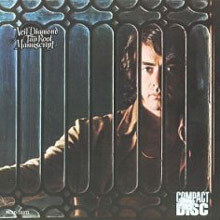 This is the ultimate Neil Diamond record. Not necessarily the best -- he's at his most appealing crafting in the studio -- but certainly the ultimate, capturing all the kitsch and glitz of Neil Diamond, the showman. And that also means that it's not just loaded with flair, but with filler, songs like "Porcupine Pie," "Soggy Pretzels," and "And the Grass Won't Pay No Mind" -- attempts to write grand, sweeping epics that collapse under their own weight. Still, that's part of the charm of Diamond and while it can sound unbearable on studio albums, it makes some sense here, surrounded by his pomp and circumstance. That spectacle is the great thing about the record, since it inflates not just his great songs, it gives the weaker moments character. And while this does wind up being a little much -- 21 songs, 24 on the 2000 reissue -- it nevertheless is the one record for casual Neil fans, after the hits collections, since this shows Diamond the icon in full glory.